Fr. 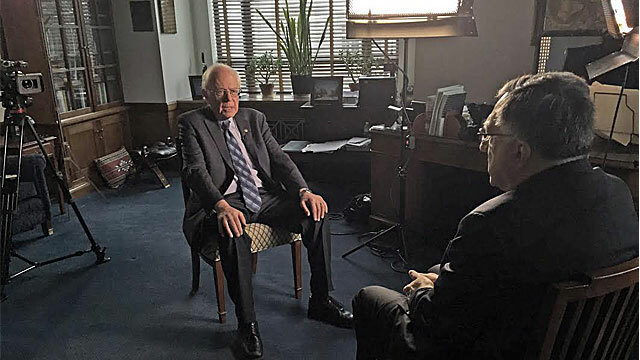 Thomas Rosica, CSB, in his role as CEO of the Salt and Light Catholic Media Foundation and Executive Producer and Host of the WITNESS Program, interviewed Senator Bernie Sanders in his offices on Capitol Hill on September 21, 2015 on the eve of Pope Francis’ arrival in the United States. 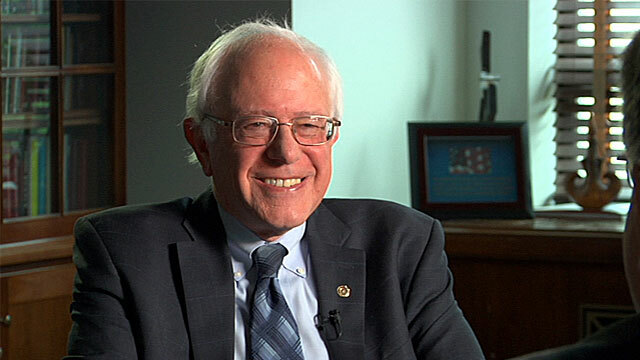 The interview also contains scenes and excerpts of Senator Sanders addressing the US Senate, as well as Pope Francis speaking at the White House, St. Matthew’s Cathedral and during the Special Session of Congress later that historic week in September. 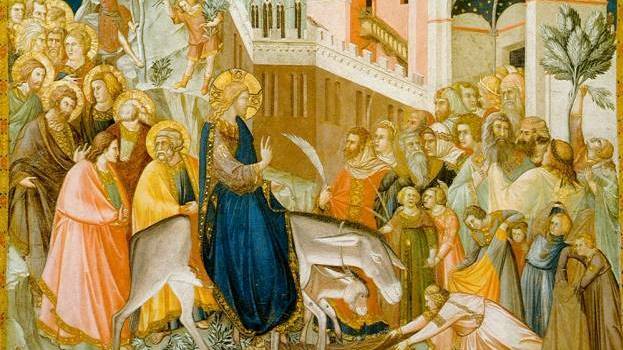 Salt and Light Catholic Television Network extends an open invitation to all other US presidential candidates of all parties for an interview to discuss their views relating to the Catholic Church and the teachings of Pope Francis. 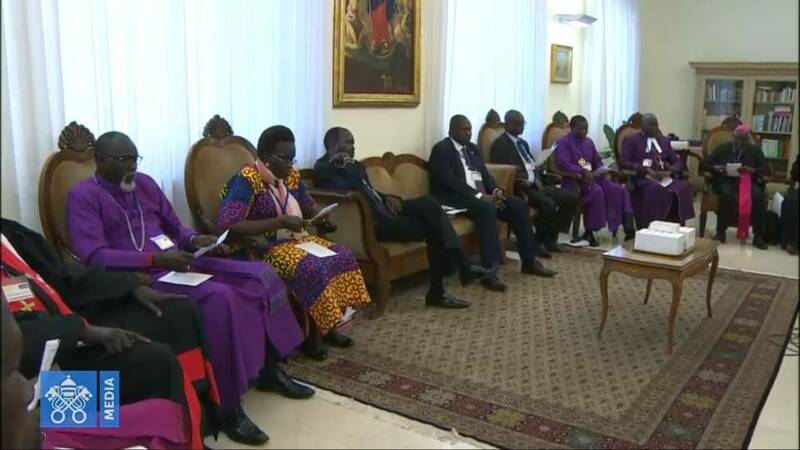 The interview will be posted on this website on Tuesday afternoon for those who do not have access to Salt and Light Television Network outside of Canada. 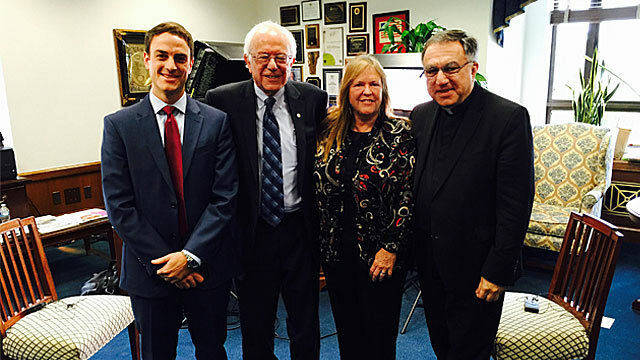 Watch the interview on our website as of 1pm ET on February 23, 2016"
Sebastian Gomes, (Salt and Light Producer); Senator Bernie Sanders, Mrs. Jane Sanders, Fr. Thomas Rosica, CSB.